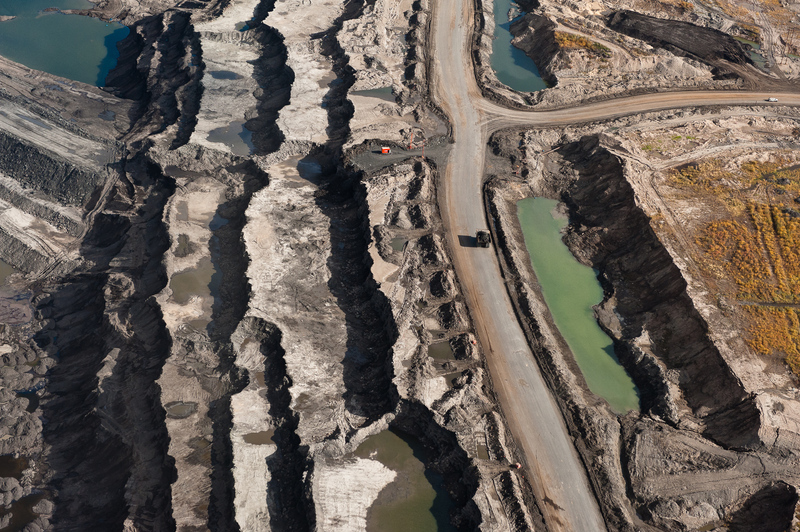 Industrial landscape: Canada's Tar Sands: Tar Mine and Truck #4 | Alberta Tar Sands | 2010 Series: The True Cost of Oil. Tar Mine and Truck #4 | Alberta Tar Sands | 2010 Series: The True Cost of Oil. At the edge of an 80-meter deep mine, a massive tar sands truck is dwarfed by the surrounding landscape. These 400-ton trucks are the world’s largest measuring 25 feet high, 47 ½ feet long, and 32 feet wide. The mines, machinery, and trucks of the Alberta Tar Sands were the inspiration for Avatar’s Edmonton-born art director’s vision of the mining operation on Pandora.